Humphrey and...new wolves? O_O. . Wallpaper and background images in the アルファ＆オメガ club tagged: alpha omega humphrey 3d wolves. alpha and omega 2 !!!!!!! yay but its a big but is there???? 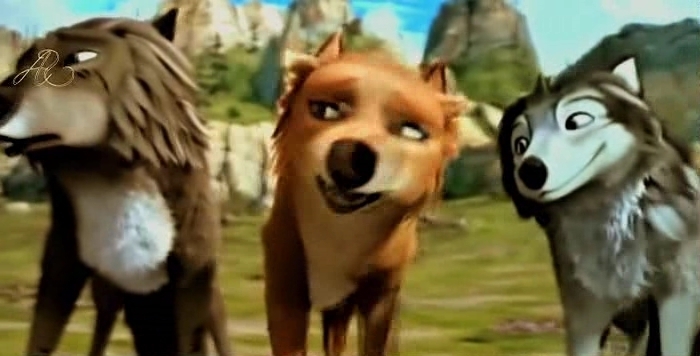 The wolf in the middle, i think her name is Scar.